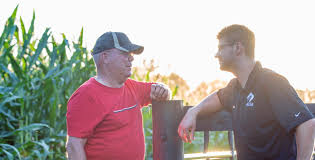 The ADM Advantage Expert contract is a futures only contract with designated “expert” advising ADM when to price bushels enrolled in the program. There are three experts the producer can choose from: Kevin Van Trump, Richard Crow and a group of ADM Experts. The ADM Expert option was new last year to ADM elevator and is being offered to our affiliates for first time this year. Contract options available on the ADM Advantage are corn, beans and all three wheat contracts including Minneapolis wheat. Futures options months are July 18, September 18, November 18, December 18 and March 19. The enrollment window is currently open with deadline to sign up of January 26. The price window for all contract offerings starts on Feb 6 with pricing end dates based on contract first notice days. The service fee ADM will be charging is 8-cents per bushel. The ADM ASP or Average Seasonal Price is a futures only contract that prices an equal percentage each day on the close during the pricing window. This contract is only for corn as that is market that has a true and tested seasonal. The futures options months are CU8, CZ8 and CH8. The enrollment period is the same as the Advantage Expert contract with deadline of January 26. The pricing window for each contract month is Feb 6 to July 6. The service fee is 4-cents per bushel. To price futures better than the October harvest average. Please visit //www.admadvantage.com/ for more information and to get signed up to receive weekly performance updates.